When I taught public school, our school used the Four Blocks Literacy Model for reading and writing. The four blocks are guided reading, self-selected reading, writing, and working with words (phonics). 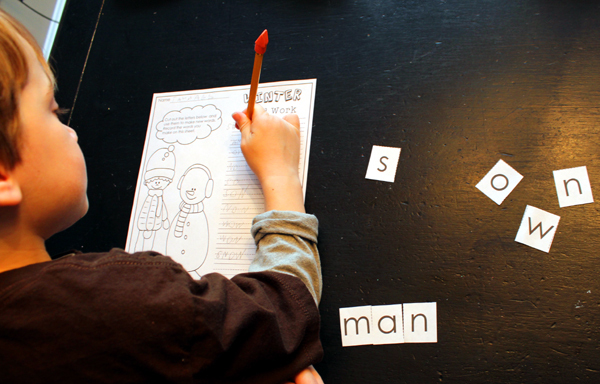 One of the activities both my students and I always enjoyed was simply called “Making Words”. Students were given a big word (which was usually thematic) and they used the letters in the word to build and make other words. I love this activity because it falls near the top of Bloom’s Taxonomy. Making words gets them combining letters and modifying and creating words, which are all great higher order thinking skills. 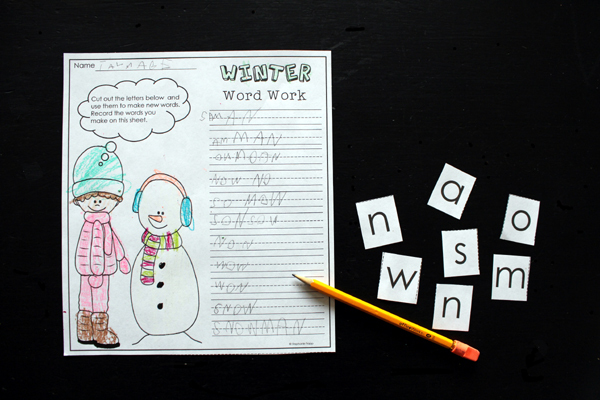 I’ve been wanting to incorporate this activity into my son’s reading so I made these winter phonics worksheets to introduce it to him. The most important thing to do when using this activity is to MODEL it for your students. I can’t stress this enough. 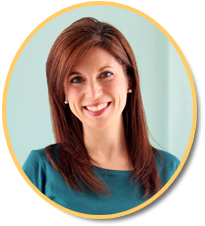 Younger students may need it modeled multiple times or even every single time depending on their needs. 2. 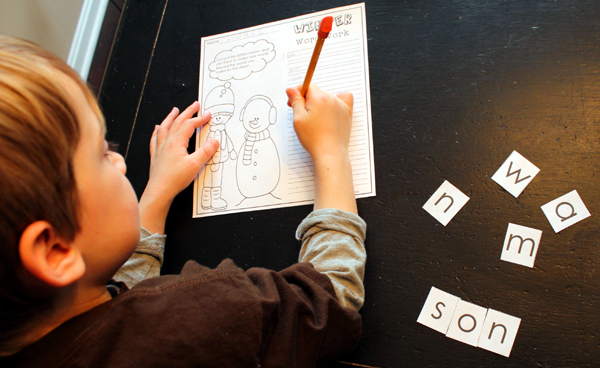 Add another consonant to the beginning of the word to make a three-letter word. 3. Can you change the consonant at the beginning or end of the word to make a new word? 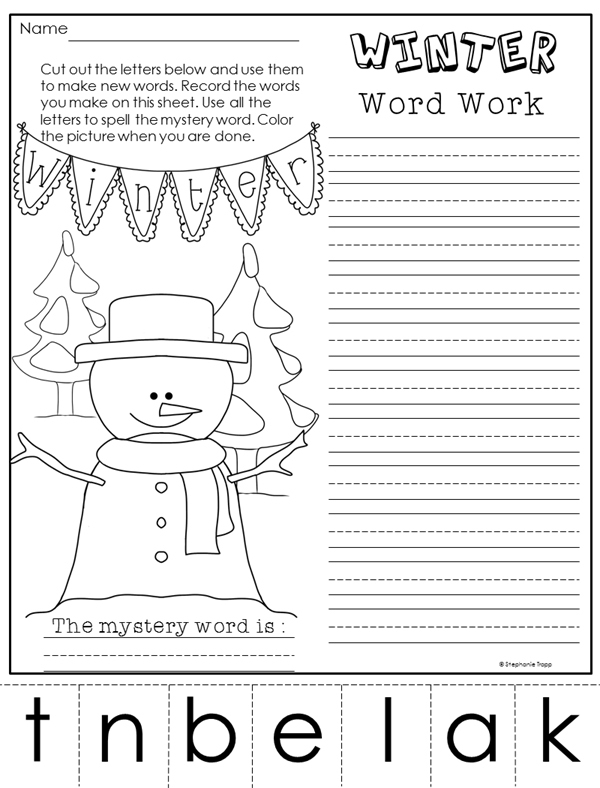 The Making Words activity from Four Blocks actually scrambles up the theme word and makes it a mystery word that the students are to try and guess at the end. I wasn’t sure if my son would be able to do this or not, so I made the worksheets with the words spelled correctly. Right when we were about to do the activity, I changed my mind and cut the letters off the paper for him and mixed them up. Oh my, was he motivated and excited when I told him that at the end he could try to figure out what the mystery word was! To my surprise, it only took him a few tries to figure it out. This activity was a HUGE hit with him. He was so disappointed the next day when he asked if we were playing the mystery word game again and I said no. I’m planning on incorporating it in once a week and I went ahead a created four winter-themed sheets for us to use this month. You can download them by clicking on the example picture below. There are two copies of each sheet: one with the word spelled correctly and one with it scrambled up if you want to make it a mystery word. I’m sure your students will love it either way! Do you use the Four Blocks model of literacy in your classroom? Ever even heard of it??? 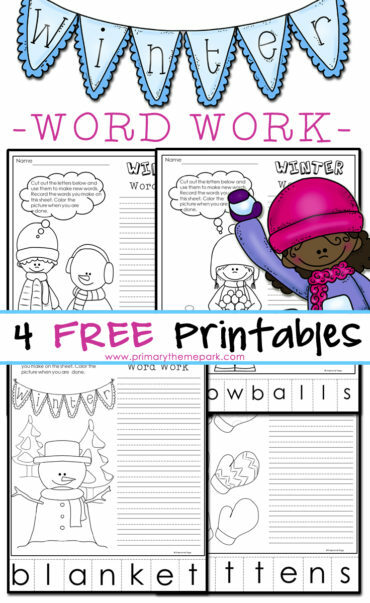 I’d love to hear if you use it and if you do the making words activity!